WASHINGTON, May 9 2014 (IPS) - After years of claiming untruthfully that the world’s most fished marine protected area was “off limits to fishing and other extractive uses,” President Anote Tong of the Pacific island state of Kiribati and his cabinet have voted to close it to all commercial fishing by the end of the year. The action, if implemented, would allow populations of tuna and other fish depleted by excessive fishing to return to natural levels in the Phoenix Islands Protected Area (PIPA), a patch of ocean the size of California studded with pristine, uninhabited atolls. The move comes at a time global fish populations are steadily declining as increasingly efficient vessels are able to extract them wholesale from ever-more-remote and deep waters around the globe. While no-take zones of comparative size exist in Hawaii, the Chagos Islands and the Coral Sea, none are as rich in marine life, making this potentially the most effective marine reserve in the world. The news drew high praise from scientists and environmentalists. These include Palau, where President Tommy Remengesau has suggested closing off its entire Exclusive Economic Zone to commercial fishing, as well as the Cook Islands and New Caledonia, which are studying how much fishing to allow on protected areas even larger than the Phoenix. The international fleets of industrial purse-seiners, dominated by Spanish, Asian and U.S.companies, have converged on the Western and Central Pacific since the start of the millennium after depleting the stocks elsewhere. The result has been a fast and unsustainable decline of the bigeye, the most prized for sushi after the fast-disappearing bluefin, and more moderate shrinking of the yellowfin and skipjack populations. The fishery’s own scientists have called for a reduction of the catch by 30 percent, but instead it has increased by that amount. In an interview in Tarawa, the capital island, a year ago, Tong had brushed aside objections and said he had no intention of ending fishing in the reserve entirely anytime soon. The management plan called for closing another 25 percent next year if Kiribati’s Western partner, the Washington-based Conservation International, donated 8.5 million dollars into PIPA’s trust fund. The money would be to compensate Kiribati for losses in income from fishing licenses stemming from closure – losses many experts said were entirely imaginary, as PIPA makes up only 11 percent of Kiribati’s waters and the fishing vessels could easily catch the far-traveling tuna elsewhere, they said. But following reports in the international media, including IPS, on the contrast between Tong’s claims and reality, he said in a press release last September that closing the reserve to all fishing, far from entailing sacrifice as he had previously insisted, would make good business sense for his people. Ashley McCrea-Strub, a fisheries scientist at the University of British Columbia in Vancouver, argues that a complete closure “would create both capital and interest.” She explained that the much-reduced tuna, billfish and sharks populations would likely double inside the reserve to reach their natural, original levels within a couple of decades: that’s the capital. Though PIPA is the signature project for Kiribati’s two foreign partners, Conservation International (on whose board Tong sits) and the New England Aquarium, neither organisation has made any announcement. The news came in a short, anonymous paragraph posted on PIPA’s website reporting that the cabinet on Jan. 29 voted to close the reserve to all commercial fishing by the end of the year. An Internet search found that One Fiji television station’s website ran a story on the vote on Feb. 27, quoting Kiribati Radio (which lacks a website). 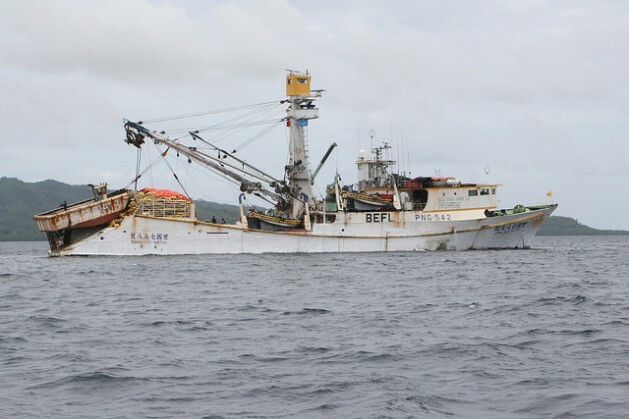 Fiji One said the measure was taken “as a commitment towards protecting and conserving its marine resources as well as a bid to attract donors to invest in the PIPA Trust Fund,” which has five million dollars. Asked why there had been no public announcement for what marine scientists said was the most far-reaching marine closure in years if enforced, Gregory Stone, who first suggested creating the reserve and is now a vice president at both Conservation International and the New England Aquarium, did not respond to several e-mailed requests for comment.